All our products have been designed with energy efficiency in mind, stopping heat from inside your home escaping, while allowing heat from the sun into the room: the result – savings on fuel bills and reduced energy waste. 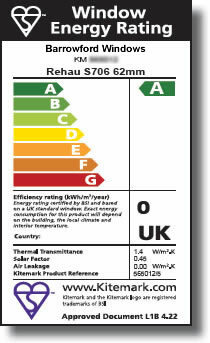 We supply BSI Kitemark Energy Ratings (WER) windows, with A, B & C ratings available. For every order that qualifies for an energy rating, a certificate is issued by us so you can feel safe that you’re getting a genuine product. 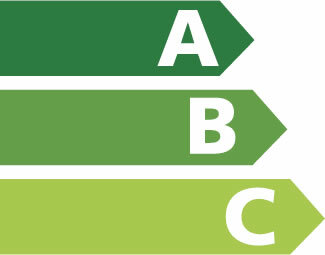 All our window systems can achieve an ‘A’ rating (A rated windows) – the highest energy rating and when installed with the appropriate glazing unit, double glazed windows from us comply with the latest building regulations.